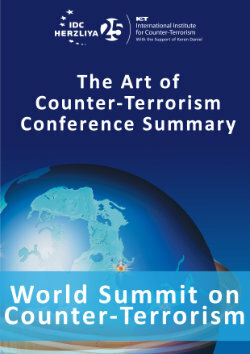 Since Hamas' taking over the power in Gaza in the summer of 2007, there is a marked rise in violent terrorist organizations acting without disturbance under the protection of the Hamas rule, lack of law enforcement and even encouragement or tacit agreement to activities of organizations with radical Islamic ideology with inclinations to global Jihad. Hamas’s interests were met by these organizations as the “flag bearers” of the authentic “struggle” (“Mukawamah”-in Arabic, implication for armed struggle). Hamas used the radical Islamic elements to enhance its own status as the legitimate representative of the Palestinian people in the local arena and the inter-Arab and Islamic arena against Israel. Israel's current military all out campaign in Gaza Strip (“Cast Lead”) is directed against a Hamas terror radical regime that has controlled the Gaza Strip since its 2007 coup, creating the conditions of the emergence of other militant Islamist organizations in Gaza in the past two years. Hamas' strategic long-term objective that has been evedent since its inception in 1987, is to take over and replace the PLO in the leadership of the National Palestinian Movement. For that end, the Hamas aspires to take over the PLO and its institutions including the Palestinian Authority’s governmental, security and civil apparatus established in 1994 as a result of the implementation of the Oslo Accords signed between the PLO and Israel. PLO was recognized by Israel for the first time, under the patronage of the international community, as the “sole legitimate representative of the Palestinian people”. Following the success of Hamas’ military takeover in summer 2007 of the Palestinian Authority’s security organization in Gaza, Hamas’s complete takeover of the Gaza strip was completed in the summer of 2008 with two additional power moves in the field of the civil system, tincluding taking control of the educational and health systems. Thus, Hamas has completed its takeover of the Palestinian Authority’s systems and has established a new reality on the ground, to the surprise of the world. Many Islamic groups support democracy as a practical tool to arrive into power and strive for the democratic process as ameans of realizing their ideology, but do not agree with democracy as a political “idea” at its root. They view the democratic concept as a golden opportunity for realizing the “white revolution”, which will bring them into a position of political power, without the need for violence. Algiers is a typical example of an Arabic democracy that has brought radicalism to the forefront of the political stage, under the patronage of embracing the idea of freedom and liberty. The elections for the Algerian parliament, held for the first time in 1991, brought the extremist party “The Islamic Rescue Front” to win the election with a vast majority, which ultimately led to a military coup whose objective was to weaken the extremist forces. Hamas, as various other Islamic terrorist organizations in the Middle East, embraced the golden opportunity given to them to exploit democracy, allowing elections and embrace it as a tool for realization of the radical ideology and bring it to government in a democratic fashion. The battle Israel conducts in Gaza against Hamas has future strategic and historic ramifications within the Palestinian internal arena regarding the right of representation of the Palestinian cause. Hamas’s attempt to establish a “new” PLO as a framework of a new authentic alternative and a new legitimate leadership instead of the “old” PLO is at the basis of the PA fears. The PA lead by Abu Mazen, is aware of a concrete threat facing the Palestinian Authority in the fight for the right to represent the Palestinian cause, and Hamas’s challenge against the “old order” after its victory on the elections to the Legislative Council, especially after its complete takeover of Gaza in the summer of 2007, when the Palestinian Authority in Gaza has collapsed. Hamas’s on going attempts to weaken the Palestinian Authority and establish an alternative PLO and leadership (Qiyada Badila-Arabic) constitute a threat on the traditional PLO and the Fatah leadership. This fact poses a challenge in face of what is left of the Palestinian Authority in the West Bank headed by Fatah and Abu Mazen. From this it can be understood the seriousness in which Abu Mazen takes the Hamas and the radical Islamic movements getting stronger in the Gaza strip under the patronage of government and Hamas (as in the western bank), as a radical Islamic center of gravity with tendencies to global Jihad as an ideological, political and religious alternative to the national-secular ideology rule of the Palestinian Authority headed by Abu Mazen and the Fatah leadership, who is fragmented in conflict and internally divided between various centers of power within its leaders. The real battle and struggle of ideas between the Fatah and the Hamas takes place to a great extent behind the scenes and in a fashion that does not receive headlines. The fight is not only for the legal legitimacy and right to represent the Palestinian cause and its people, but also for the ideological, doctrinal, national, personal and physical survival. The Palestinian historical achievement backed by the Arab and Muslim countries, which was achieved by Yasser Arafat in an ongoing battle since the mid 1960’s, is now in danger of being expropriated by the Hamas. The achievements of the PLO molded by the Fatah after 1967 as a national secular Palestinian revolutionary movement (“Filastin Al- Thawra”-Arabic), is threatened by the Islamic alternative (“Filastin Al-Muslimah”-Arabic), which poses the solution through the religious principals of Islam (“Al-Islam Hu Al-Hal” – Islam is the solution). Hamas as a violent governing power and radical Islamic movement, views the secular Palestinian Authority regime as an illegitimate entity that should be brought down and replaced in any possible way. The building processes of organizations and armed groups, inspired and characterized as global Jihad under the protection of the Hamas regime in Gaza, are perceived as a threat of radical Islam on the Palestinian system and the future possibility to reach an agreement with Israel. The London daily Al-Sharq Al-Awsat, editor-in-chief Tariq Alhomayed warned that under Hamas's rule, Gaza was becoming like Afghanistan, a hotbed of poverty, violence and strife among armed factions. Al-Homayed stated:” "The transformation of the Gaza strip into another Afghanistan is a future whose first casualty will be the Palestinians and their cause. This cause has been shattered by Hamas, whose members want to rule as they will, and are waiting for the world to accommodate them". Homayed continues his somber analysis accusing Hamas as “ a very real danger to the Palestinian cause. They have already blown thechance of creating a Palestinian state by splitting off from the legitimate authority of Abu Mazen…we must take a decisive stand against Hamas, for a simple reason, the boat in which they are drilling holes will not only drown them, but will drown all of us, and we will all be the victims”. 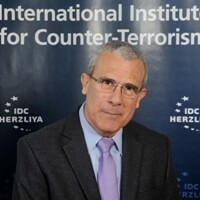 The success of Israel’s military campaign to reach its security objectives and crack Hamas, as declared by the Israeli government, will have a direct impact on the Islamization and radicalization of the Palestinian issue as represented by Hamas, which poses a threat for any potential progress towards peace between Israel and the Palestinians. Hamas’s radical Islamic foundations and ideological commandments are “non-starter” positions. The new reality created by Hamas in Gaza poses a great deal of concern within the Palestinian secular national movement, in Israel and the west as well. The weak Fatah and the shaky Palestinian Authority transmit messages, statements and declarations of apprehensions that this situation may “shut the door” for a long period of time to any chance promoting the Palestinian dreams and aspirations to fulfill its national goals. It appears that the Israeli battle in Gaza is very much the battle over Gaza of the Palestinian rational moderate majority. The Palestinian national aspiration towards a rational pragmatic two states solution, are threatened by the Islamic Hamas whose maximal, irrational radical Islamic aspirations pose internal Palestinian danger to the very existence of the PLO, Fatah and the Palestinian Authority. The simple strategic equation should be clear, metaphorically presented within a connected vessels system, suppressing military and political measures in weakening Hamas will directly effect the strengthening of the Palestinian Authority. A successful outcome of the Israeli military campaign in Gaza to weaken and break Hamas as representing the radical Islamic threat, creating a new fundamental security strategic change, will have a direct effect and a major impact on role of the Palestinian Authority within the internal Palestinian arena to fulfill its national political aspirations and goals.